First published 11/3/2016; ErikJHeels.com; publisher: GiantPeople. Congrats to the Chicago Cubs on ending your 108-year drought and winning Game 7 of the 2016 World Series. One of the best World Series (minus the error-filled Game 6) that I can remember! 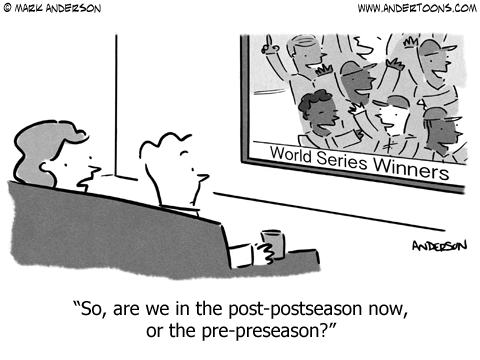 And for the Red Sox fans out there, just wait ’til next year! P.P.S. I was so close to being a baseball savant. P.P.S. And for the Cleveland fans out there, just wait ’til next year! It’s over! The Cubs ended the year with a World Series firecracker! It’s surreal to think that after over a century, the Cubs would find its strength to stand and conquer! They’re living heroes of this generation, an inspiration and our mighty baseball icons! Previous PostPrevious * YearOfDisruption.com: Would you put ads on your law firm website? On your legal blog?